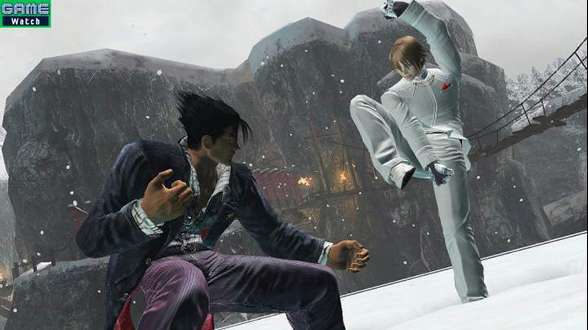 Here is another update for Tekken fans: Tekken 6 will reportedly have the biggest character lineup in any Tekken game to date. It will also feature the debut of two more never-before seen characters. Currently, the game’s about 50 per cent complete, so more updates should surface in the near future. According to SDTekken, Tekken 6 will have a new feature called the “Rage System”. This new feature will give players a boost to their attack damage depending on how low their life bar is. The lower the life bar, the stronger the attack. The new Tekken 6 arcade board has faster read/load times than Tekken 5: Dark Resurrection. Believe it or not but technology on your Playstation is being used to help develop new national security devices. Researchers at Pacific Northwest National Laboratory are using the same technology used in the new Playstation 3 to develop new video tools for national security. The research is being done on this small supercomputer [the PlayStation 3], which has about one-quarter the computing power of the lab’s 8,000 square foot supercomputer. Researchers hope to develop new ways to manage things like security video and facial recognition technology without a human administrator. “It places a tremendous burden on the operator of those control environments that are looking at all those video feeds coming in and not knowing how to process all that information and this is an opportunity to bring machine based processing into the video analysis environment,” said lab researcher Mark Goodwin. PNNL is working on the research with Massachusetts based Mercury Computer Systems. The long awaited Motorstorm patch is now available to download from the PlayStation Store in both North America and Europe. The main feature of the patch is the inclusion of a new Time Attack Mode. Stability issues have also been addressed, including glitches with boost, SD text cut-off, online performance and surround sound glitches. The update also allows for up to 50 friends in the game’s buddy list. Remember to update the game before downloading the new game mode from the Store. To update the game, simply launch Motorstorm on your PS3 system. You will be prompted to download the update. Blu-Ray is leading the High Definition DVD war thanks to the PlayStation 3. To further boost Blu-Ray, recently, Blockbuster announced that Blu-ray disc will be the exclusive HD movie format for 1,450 of their 1,700 stores in North America. This is a big win for the Blu-ray format, as Blockbuster noted they based their decision on consumer feedback. “The consumers are sending us a message. I can’t ignore what I’m seeing,” said Matthew Smith, senior vice president of merchandising at Blockbuster, to The Associated Press. By mid-July , they will have over 170 Blu-ray movies in stock. You can read the official Blockbuster announcement here. According to InnerBits, Sony has been working on a SIXAXIS controller with rumble support for a few months now, but are having difficulties with battery life. Between the rumble and the wireless support, the batteries are draining too fast to be acceptable for consumers. Officially, the company has kept a tight lid on things until the issues are resolved. Incidentally, there was no mention of the rumble having an adverse affect on the motion sensitivity. As usual, there was no mention of a release date for the controller and it is still unclear whether Sony will make the new SIXAXIS controller the default option for new PlayStation 3s. A financially expensive, but positive PR move would be to offer all current consumers the opportunity to “upgrade” their controllers for free. Firmware 1.80 hasn’t even been around for a month yet and now Firmware 1.81 is now available to download. The update was released earlier today to fix a bug with the RGB Full Range settings under Display Settings, so hopefully this is good news to some people. The update can be downloaded using the Network Update feature of the PlayStation 3 or you can download onto a removal media via the appropriate regional website. Read more for the full change log. The method of setting [RGB Full Range (HDMI)] under [Display Settings] has been improved. Motorstorm is one of the PS3’s top selling games allowing players to indulge in off-road racing where there are no rules. You can bump and crash your way to the finish line if you have to. One let down of the game is that there are only a limited number of tracks available to race on, but this is about to change soon. Evolution Studios and Sony Computer Entertainment will be rolling out new downloadable content for MotorStorm in the next few months. The PlayStation Store will be updated with brand new game features, modes and vehicles for MotorStorm. The release date for the updates is currently unknown, but we will keep you updated on this story. 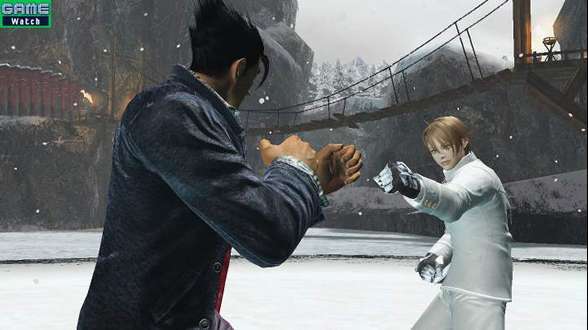 Tekken 6 was first revealed at E3 in 2005 with a trailer featuring Jin Kazama, and now we have screenshots of what it will actually look like on the PlayStation 3. Although the screenshots do not have the detail level of the final version, at least they give us some idea of what Tekken will look like. 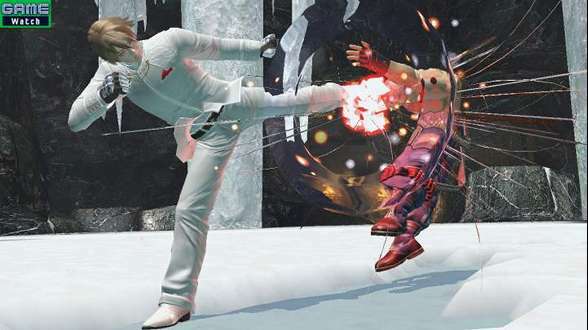 Tekken 5: Dark Ressurrection has been available to download from the PlayStation Network for some time now, but according to Famitsu Magazine, Namco Bandai are planning to release a new version with online versus play. The release date for the new version as well as a retail price has not been announced but for those of you who have already purchased the existing version will be given a discount. The European PlayStation Network has been updated to include a new game as well as a few new trailers. Those who are looking for a new beat-em-up for the PS3 will be pleased that Mortal Kombat 2 is now available to download from the PlayStation Store for only £1.99.